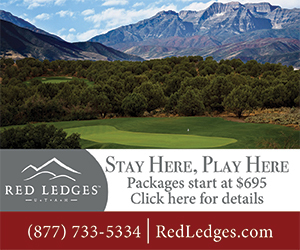 The highest levels of golf serve as a showcase to those who made it. Talent, determination and opportunity are three pillars that spell success. 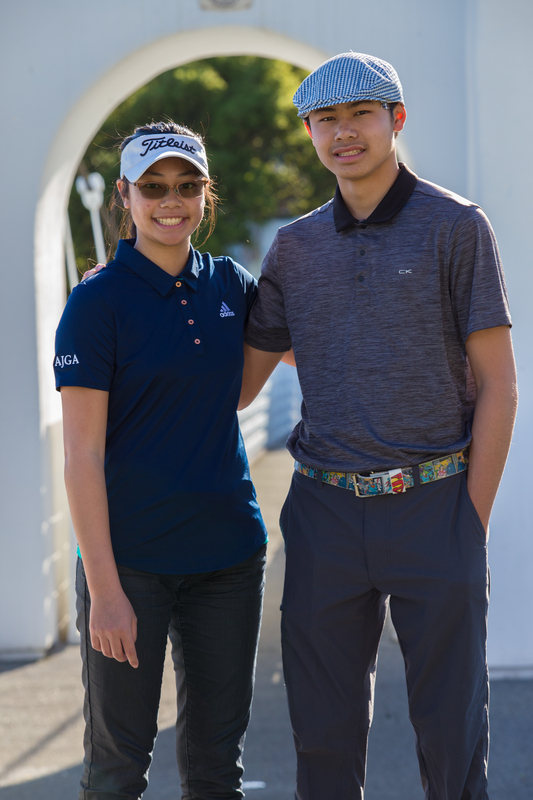 For SCGA Junior members Diamond and Jasmine Lew, the first two pillars have already been erected; they had just been waiting, and hoping, for an opportunity like this one. The Lews were selected to be the first Merrins Legacy Program participants. 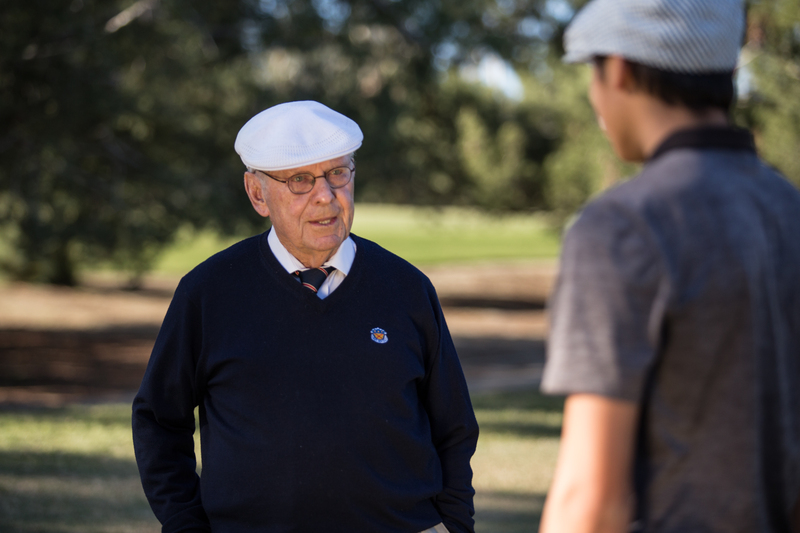 A program developed in conjunction with legendary golf instructor, SCGA Hall of Famer and “Little Pro” Eddie Merrins and SCGA Junior, it aims to help underserved, but immensely talented golfers looking for a catapult towards college golf. Merrins, the founder of SCGA Junior sponsor Friends of Golf, graciously offered this unique opportunity exclusively to SCGA Junior, in hopes the program could pinpoint two worthy youngsters each year. Along with weekly sessions with Merrins at Bel-Air CC, each child receives $500 to use towards tournament fees, helping with the exposure that every junior golfer needs in this day and age. 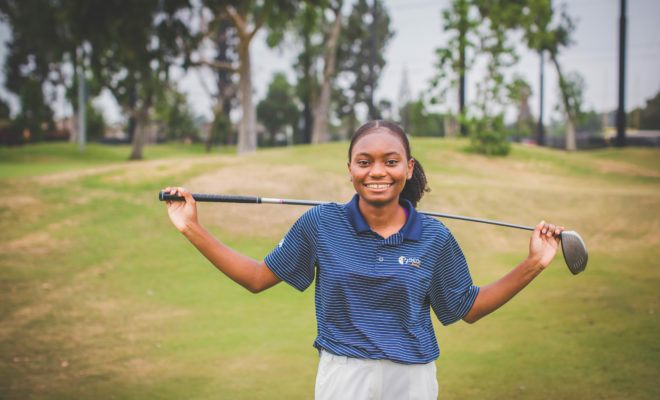 Diamond, a 16-year-old junior at North Hollywood High School, fell in love with golf because of the challenges that it poses. Working on the betterment of one’s flaws, while oftentimes frustrating, is what keeps his curiosity perked. Self-awareness is something that every 16 year old certainly does not posses. But Diamond has a jumpstart on the field in this sense, making it easy for Merrins to diagnose issues with his golf game. 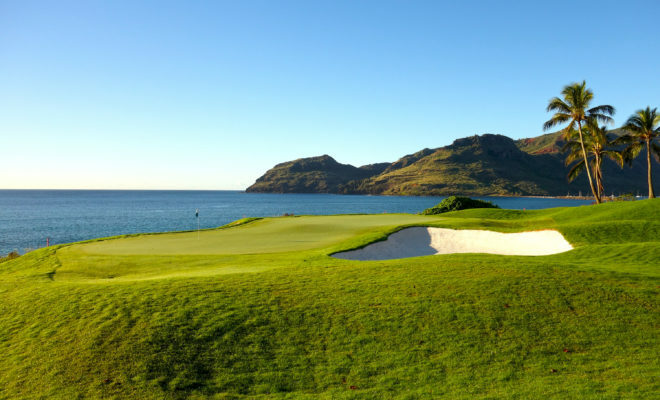 Diamond and Eddie have been working more on the mental side of golf, some of which is easily transferrable into everyday life. Eddie has been schooling Diamond on the need to keep a level head; never too high, never too low. Jasmine, a 15-year-old sophomore at John Marshall High School, consistently outdrives boys of her own age. 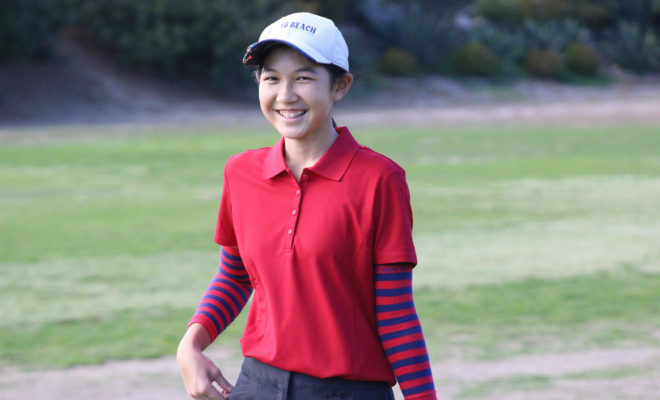 Known for speaking soft but carrying a heavy stick, Jasmine credits the game of golf and SCGA Junior for breaking out of her shell. Jasmine plans on committing to a high-level D-I program. With Merrins’ help, she believes that path is imminent, if not certain. She’s already received letters from Auburn, Arizona State, Notre Dame, Illinois, Fresno State, Ole Miss and Southern Mississippi, among others. 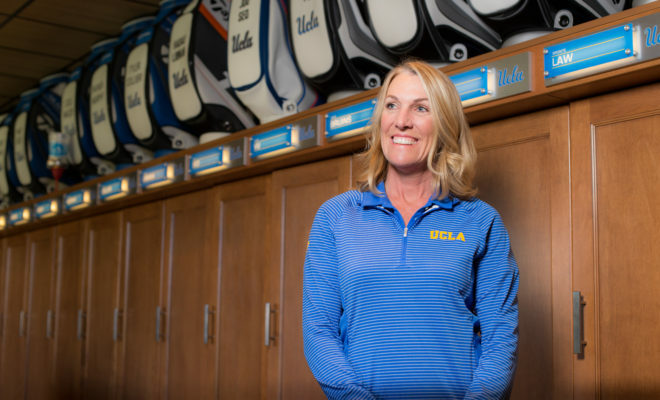 Jasmine and Diamond have a long-standing relationship with golf, as it served as a common interest throughout their childhood and provided great memories. While the Lew siblings have shared a fond past, they’re looking ahead together towards their common goal of competing at the D-I level. 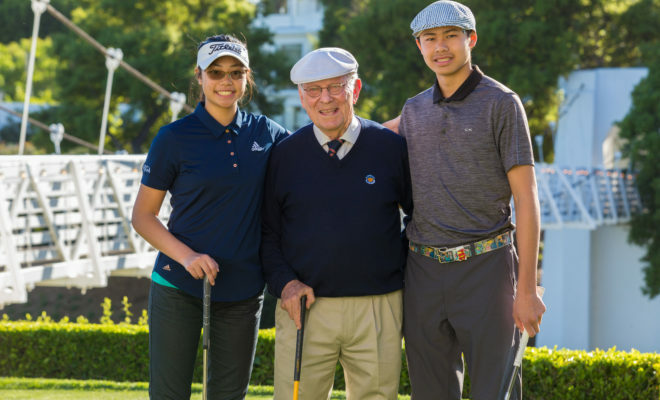 Through the opportunity afforded to them by SCGA Junior, the Lew children are in a better position now than ever to reach their full potential. It’s a long cry from the days when Chapman thought they were going to have to give up the game. 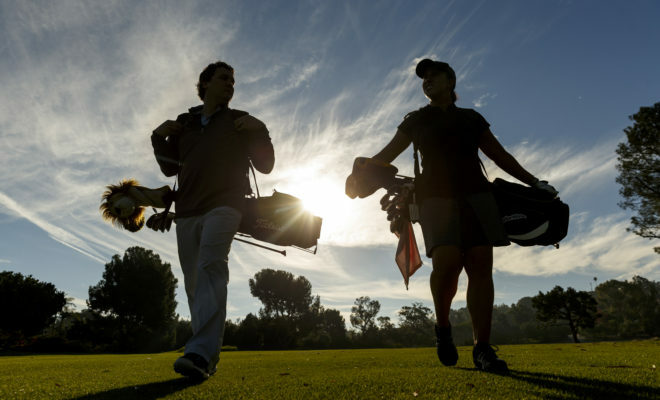 The benefits of their family’s relationship with SCGA Junior are not lost on the adolescents. Both understand and are appreciative of the program’s assistances. The Lews with World No. 1 Dustin Johnson. For Diamond, it’s had an even deeper impact, as he feels it’s where he began his maturation into a young man while coaching kids that he can relate to. 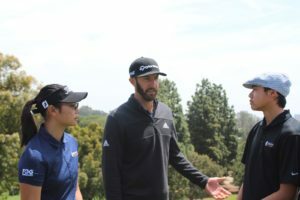 With affordable access there for the children of the Lew household from the SCGA Junior Golf Pass, it’s just been a struggle to find budget-friendly coaching and exposure. 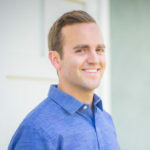 Providing both is exactly what the Merrins Legacy Program does. 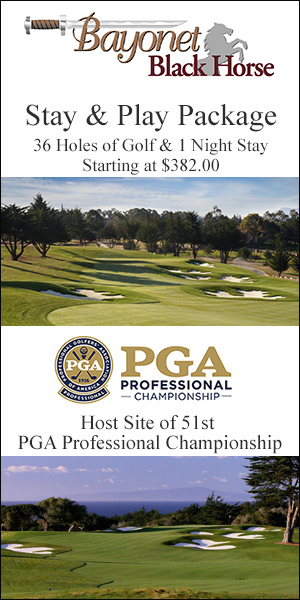 While the opportunity has been presented by SCGA Junior, it’s up to the Lew duo to take advantage. Onward they will go, with a Little Pro’s blessing.